These days there are so many options for legal practices that lawyers starting a solo practice often get carried away and spend too much. It is difficult to distinguish the essential hardware and software needs from supplementary products. With everything solo lawyers have to think about, technology questions can seem overwhelming, expensive, and important. Is a Mac or a PC better for a practice? Is it necessary to have a printer, scanner, copier, and fax machine? What about all of the software products available for practice management, document management, email, or a PDF editing processor? Most lawyers with their own practice could use a break down of necessary technology products and how much to spend on each. 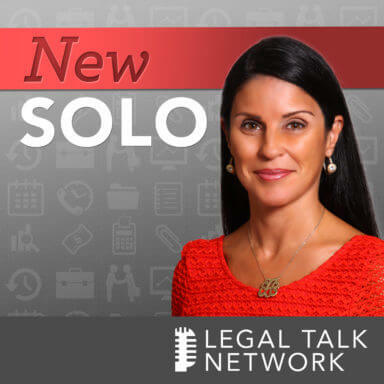 On this episode of New Solo, Adriana Linares interviews the Lawyerist CEO and Editor in Chief, Sam Glover, about practice management essentials, what hardware and software to buy when starting a solo practice, and how much to spend. Glover discusses laptops and desktops, Macintosh computers versus PCs, what to invest in a printer, scanner, and internet, and why it is pointless to buy a fax machine or copier in 2014. He recommends services that provide a secure VPN, a secure client portal, and that cloud-based softwares are often less expensive, easier to use, and updated more often. Some other top essential products he suggests include a Gmail business account, Microsoft 365, OneDrive, Acrobat Pro, Google Voice, and several potential alternatives. To maintain a professional practice, he also highly recommends a virtual receptionist like Ruby Receptionists. In the end, he stresses the importance of spending the right amount of money on the products your new solo practice needs. Sam Glover is the CEO and Editor-in-Chief of Lawyerist.com, an online magazine and reference manual for solo and small firm lawyers. He has written and spoken extensively about legal technology, marketing, management, and ethics, among other topics. In addition, he was a practicing lawyer from 2005 to 2011 for his own firm, The Glover Law Firm, LLC, before he sold it to focus on representing tech startup companies. The Lawyerist is well known for honestly discussing topics and being fair to the subject.